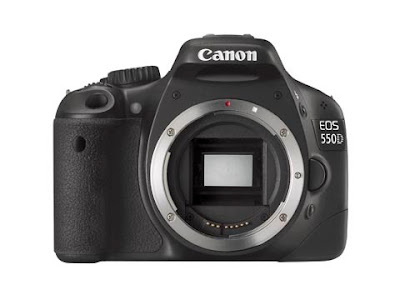 Canon are on a roll... as if the 5D MkII and the 7D weren't cheap enough for making stunning movies on, now they've gone and undercut their own prices with the new 550D. Ok, it's a slimmed down 7D... it's not as well built (plastic not magnesium-alloy) and it's got no weather-proofing..and maybe the AF system isn't quite as good...but for film-makers , it's a dream come true. Full 1920 x 1080 25p!!! It's still got the same HDMI out, still got the adjustable shutter speed, aperture and ISO an still uses an 18MP APS-C size CMOS chip. For a UK street price of about £900 you get the cam with a 18-55mm kit lens and for around £1100 you get the cam with a 18-135mm kit lens. 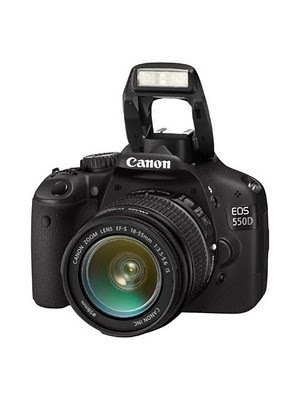 For around £1200 you get the dual kit which includes the 18-55mm and a 18-250mm zoom. This has got to be a massive moment for indie film-makers... you really can buy a camera that will give you gorgeous images, captured with a sensor far bigger than you'd ever get with a pro-sumer HD camera for less than a grand. Amazing. I want one...now.